I’ve really enjoyed reading the National Gallery of Victoria publication about wood carver Robert Prenzel. Here are three of the 36 double sided panels from the staircase of the Glenormiston homestead in the Western District of Victoria. What beauties. Although I don’t know what timber he used for this staircase, he generally used white cedar, colonial beech, brown cedar, Queensland walnut, and blackbean. Prenzel said ‘boligum’, the wood of Queensland tree Letsea reticulata, was one of the finest carving woods in the world. 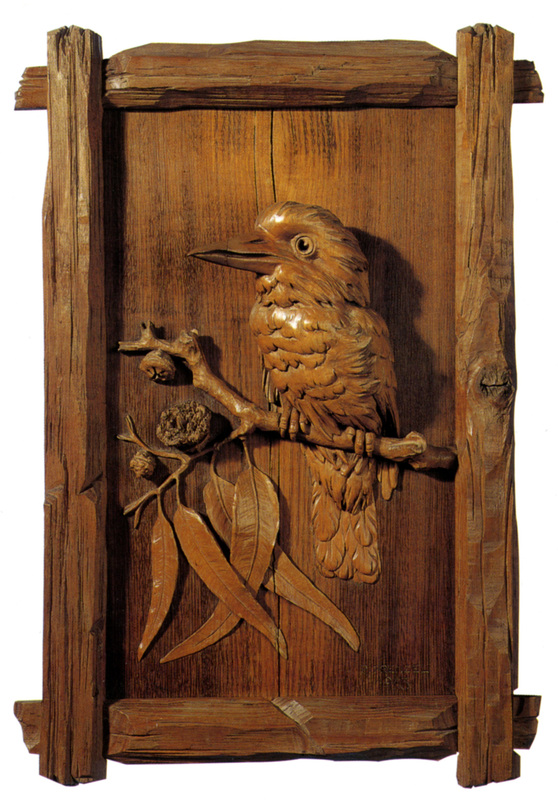 In this lively Kookaburra work from the Art Gallery of Western Australia he used mountain ash. Things got tough for Prenzel during the war years. 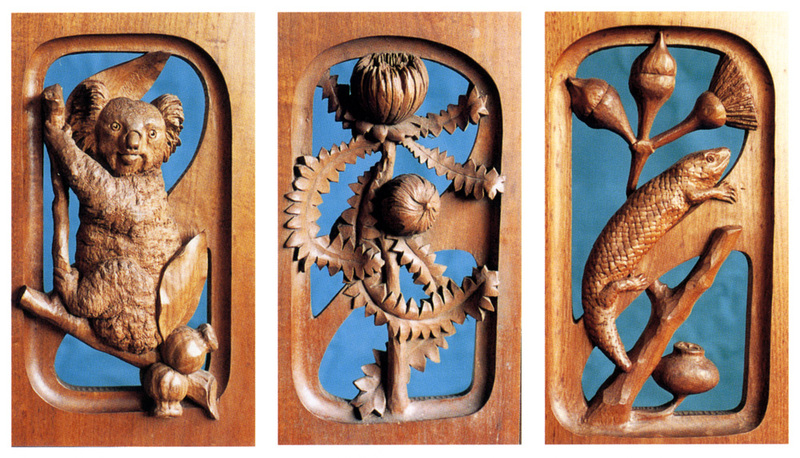 He would sit in his shop front window in Toorak Road carving these unique panels as a way to supplement his income. He usually framed these portraits using banksia found around his Black Rock home. I used to oil the prenzels at Glenormiston . The blue tongue pictured was very dry when I started , due to the sun on the wood .